Nordair USA, Inc. stocks over 70000 line items of aircraft material in our warehouse in Orlando, Florida. Our inventory mainly consists of material applicable to the Boeing (737 / 747 / 757 / 767 / 777), Airbus (A300 / A310 / A319 / A320 / A321 / A330 / A340) and Douglas (DC8 / DC9 / DC10 / MD80 / MD90) commercial aircraft as well RB211, CFM as well as other engine types. 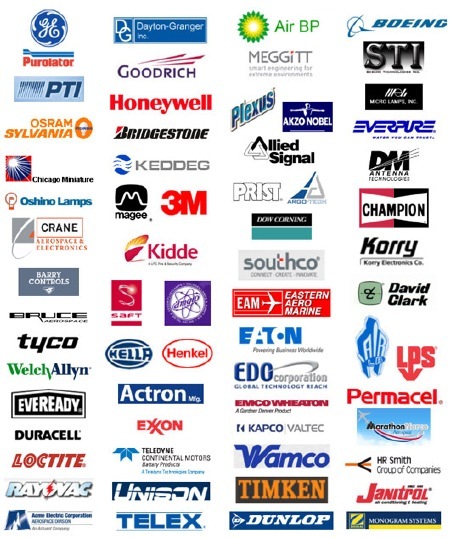 Below are just some of the manufacturers that we carry in stock.